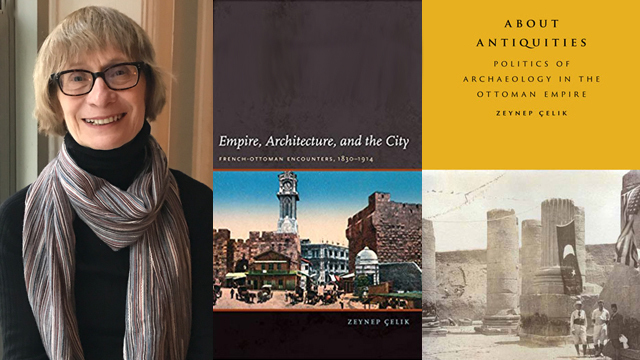 UCLA International Institute, April 8, 2019 — Acclaimed Ottoman and North African architectural historian and curator Zeynep Çelik has won the UCLA Giorgio Levi Della Vida Award in Islamic Studies. A distinguished professor of Ottoman history and architecture at the New Jersey Institute of Technology (NJIT) and the federated department of history at NJIT and Rutgers-Newark, Çelik also teaches history at Columbia University. 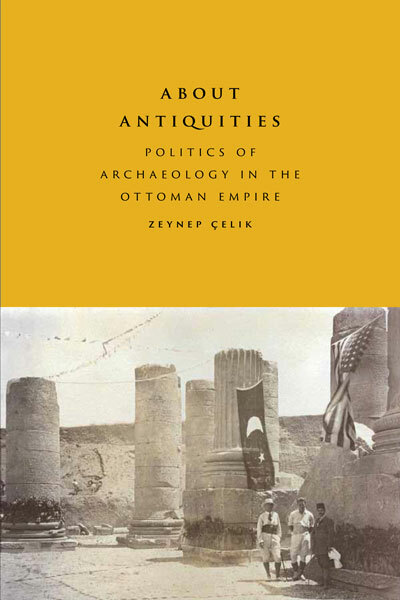 In addition to her work as a scholar, Çelik is a well-recognized curator of museum exhibitions — each accompanied by an edited volume of scholarly essays. Among her most recent co-curated exhibitions (all co-curated) were “Camera Ottomana,” Koç University, Istanbul, April–August 2015; “1001 Faces of Orientalism,” Sakıp Sabancı Museum, Istanbul, April–August 2013; “Scramble for the Past: A Story of Archaeology in the Ottoman Empire, 1753–1914,” SALT (a contemporary art institution in Turkey), Istanbul, November 2011–March 2012; and “Walls of Algiers,” Getty Research Institute, Los Angeles, May–October 2009. “In examining cultural currents between different geographies,” comments Çelik, “I aim to avoid one-way vectors and reveal networks, thus drawing complicated maps." 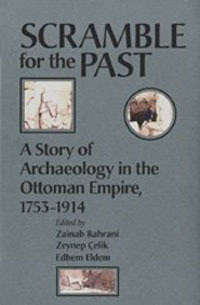 Over the span of her career, Çelik has received fellowships from the National Endowment for Humanities, the Guggenheim Foundation,and the American Council of Learned Societies (ACLS), as well as book awards from the Institute of Turkish Studies Book Award (“The Remaking of Istanbul: Portrait of an Ottoman City in the Nineteenth Century,” UC Press, 1986) and the Society of Architectural Historians (Spiro Kostof Book Award —“Empire, Architecture and the City: French-Ottoman Encounters, 1830–1914,” University of Washington Press, 2008). She was awarded an honorary doctorate by Boğaziçi University in Istanbul in 2013 and the prestigious Vehbi Koç Award in 2014. After receiving an undergraduate degree in architecture from Istanbul Technical University, Çelik went on to earn an M.A. in architecture from Rice University and a Ph.D. in architectural history from UC Berkeley. She takes a chronological approach to explaining the evolution of her cross-disciplinary and cross-cultural research interests. 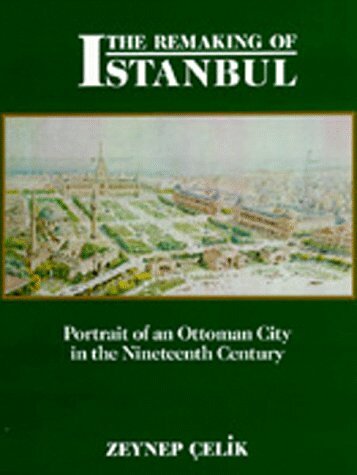 “My first book (revised from my dissertation) focused on nineteenth-century Istanbul (“The Remaking of Istanbul,” UC Press 1986),” she says. 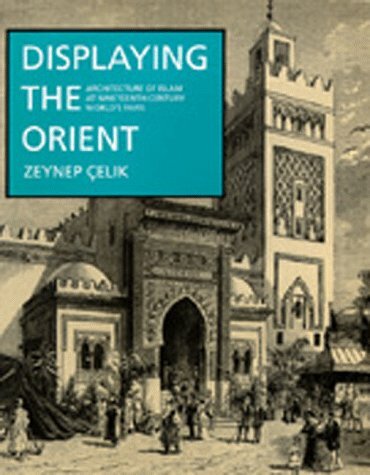 “The cross-cultural dialogues I identified there led me to look into the representations of ‘Islamic’ cultures in international exhibitions (“Displaying the Orient: Architecture of Islam at Nineteenth-Century World’s Fairs,” UC Press, 1992),” an ACLS Humanities E-Book. 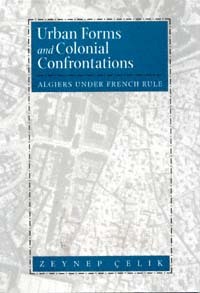 The “Perspectives on French Colonial and Late Ottoman Cultural History” conference — to be held at UCLA’s Kaplan Hall May 30–31, 2019 — will take a broad look at comparative colonialism and modernity. Çelik, who has sequenced the panels and recommended the speakers, notes that the presenters represent a wide range of perspectives, from social history to politics to literature, music, visual culture and architecture. In keeping with the tradition of the UCLA Giorgio Levi Della Vida Award, an edited volume of the conference proceedings will be published as part of a series after the conference. Çelik’s keynote address, “Whose Modernity? Whose Imperial Order? Jerusalem between the Late Ottoman Empire and the Early British Mandate,” draws on her current research on the transitional period between Ottoman modernity and the French and British Mandates in the Middle East.